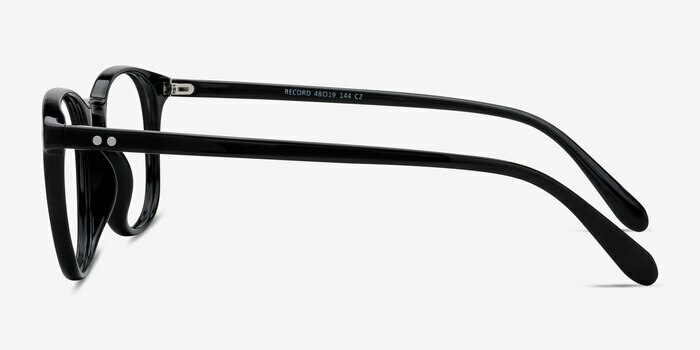 Spin a classic yet trendy look with Record. 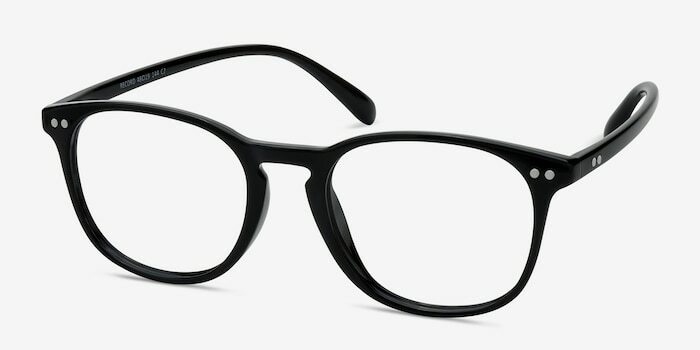 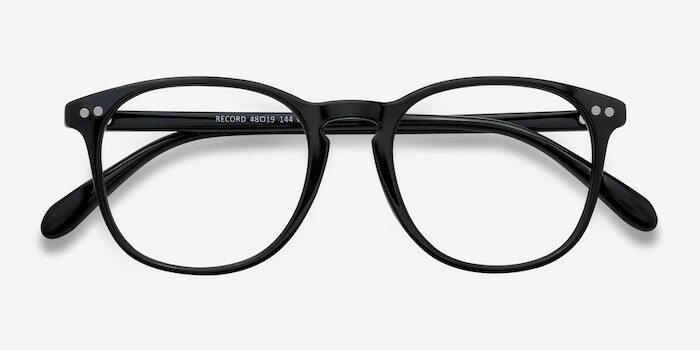 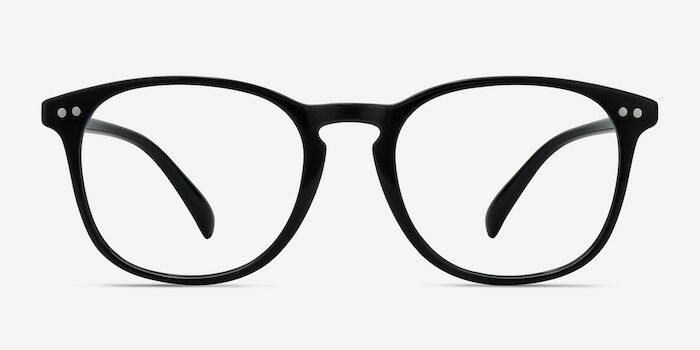 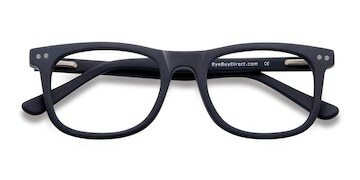 This slim wayfarer style in black is a perfect everyday go-to accessory. 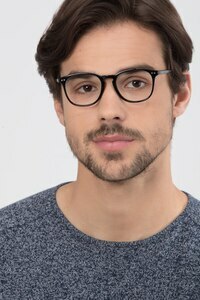 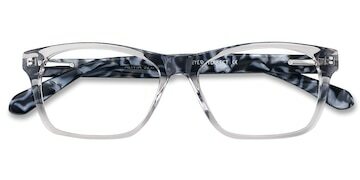 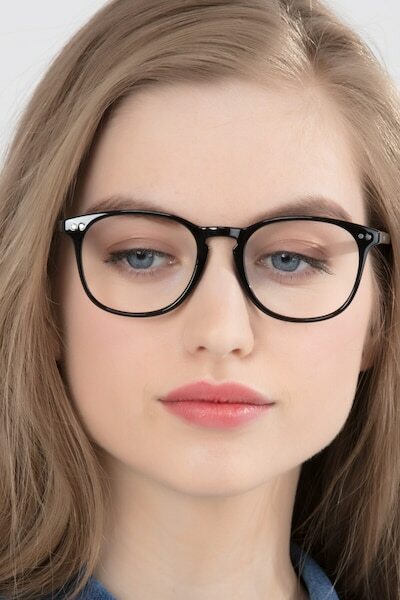 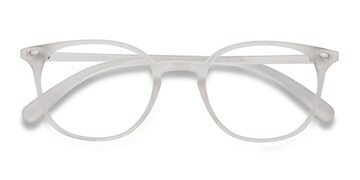 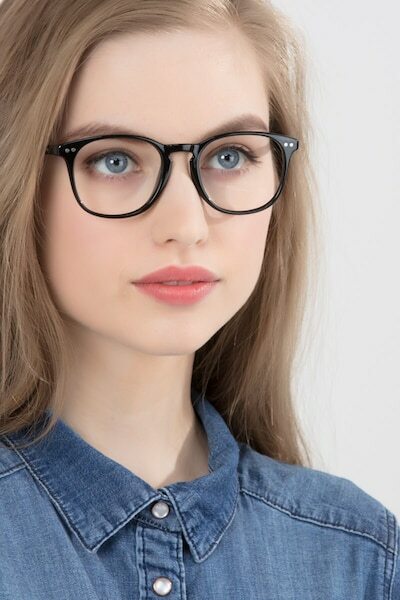 Double accent students on the temple corners add subtle detail to create a look that is suitable for both men and women.